Had she not been in the sheriff’s custody, she likely would not have landed on the immigration radar, immigrant advocates said. “It’s been really difficult, because she’s the one that [had] been doing everything around the house, like taking care of the bills, medical expenses,” said Roberto Rosas Rios, her 19-year-old son. He said in his mother’s absence he, his father and siblings have been helping care for their mentally disabled sister, 17, and their youngest brother, who is three. 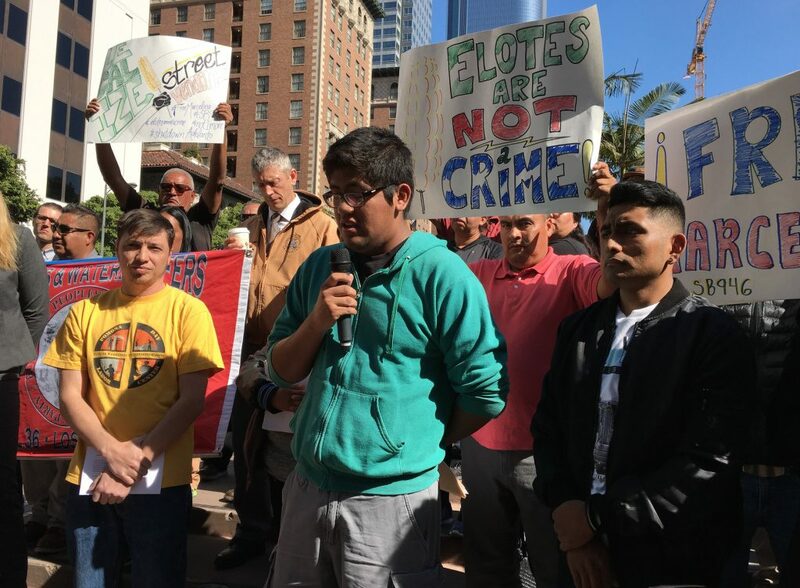 “When Ms. Rios was released from our custody and walking toward the front lobby of the jail, that is where ICE contacts them, in that area,” Ohannessian said. The bill would also push local governments to come up with a system to license and regulate street vending, a process that Los Angeles has struggled with for years. If jurisdictions don’t come up with a permitting system, they would not be able to penalize street vendors.